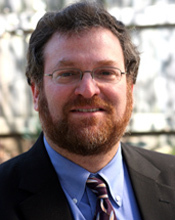 Saul Cornell is a legal and constitutional historian at Fordham University, and the author of The Other Founders: Anti-Federalism and the Dissenting Tradition in America (1999) and A Well-Regulated Militia: The Founding Fathers and the Origins of Gun Control in America (2006). As an active participant in public debate over gun regulation, as well as the scholarly debate over constitutional interpretation, Cornell is a historian who does not fear to tread in dangerous political territory. Today for The Junto, he explains originalism’s complex impact, and its strange relationship to the past. JUNTO: You’re more engaged than most historians in theoretical debates over legal interpretation—which are of course also deeply practical debates, in that they have big effects on law and policy in our own time. Did you always intend to do this kind of work, or did you come to it be accident? SAUL CORNELL: My interest in originalism was sparked by my work on the Second Amendment. As I was completing my first book I noticed a revival of interest in Anti-Federalist ideas among conservatives. But given the strong republican and communitarian streak among the back-country Anti-Federalists who are the real key to understanding the Second Amendment, I had a hard time thinking of them as the radical individualists portrayed by legal scholars. I knew about the controversy over the Test Acts in Pennsylvania and I suspected that individuals stripped of many civic and political rights were also deprived of their arms. Of course it turned out that these acts disarmed a significant portion of Pennsylvania’s population. Clearly the meaning of the Second Amendment to Pennsylvanians did not quite fit into the simple collective or individual rights dichotomy that modern scholars had used to understand this problem. Once I dug into the Second Amendment issue I quickly realized that originalism was partly to blame for the distorted view of the Second Amendment that had emerged among legal scholars. I worried that this development was not a random event but might actually be part of a concerted effort to change contemporary law and public policy. Of course it turned out that I was right and the Supreme Court’s decision in Heller has vindicated my original intuition. JUNTO: How dangerous do you think originalism actually is as a legal doctrine? Have we seen its heyday come and go, or is there still a threat here we need to take seriously? CORNELL: The impact of originalism is more complex than many realize. As an ideology it is extremely important. It both drives popular right wing movements, including elements of the tea party and radical gun rights ideology, and has become the guiding ideology for right wing elites. There is a vast “originalism industrial complex” that connects right wing foundations, think tanks, and the Federalist Society. As a judicial theory, however, originalism’s bark is much worse than its bite. Most judges are not originalists. Even Scalia and Thomas, the only genuinely originalist justices in the current conservative majority on SCOTUS, don’t apply this methodology in a rigorous and consistent fashion. Indeed, the key doctrinal parts of Scalia’s opinion in Heller, the stuff that actually matters to lower court judges deciding cases, are not even remotely originalist. Ironically, this fact has actually angered some originalists and gun rights zealots who find a Heller a mixed bag. JUNTO: Your first book came out in 1999—by my reckoning that was just before this big recent surge in “Founders Chic” that was partly led by David McCullough’s John Adams in 2001, and continued through the noughties, putting a lot of wind into the sails of the Tea Party and perhaps also originalist thinking. Have the “other founders,” the antifederalists, been eclipsed again by this renewed attention to founders (especially with the current high public profile of an arch-Federalist like Alexander Hamilton)? CORNELL: One of the most interesting things about originalism is the way it has effectively blurred the lines between Federalists and Anti-Federalists to facilitate a right wing ideological agenda. It is not surprising when one recognizes that many Anti-Federalist ideas—states’ rights or hostility to the federal judiciary—fit that agenda perfectly! This is not simply an example of ideas being in the air. These ideas were deliberately deployed to further this policy agenda. Gary McDowell, a Straussian political scientist, wrote about Anti-federalism from this angle and was a top advisor to Edwin Meese, the architect of the first wave of originalism. The Heller decision is a good example of how the second wave of originalism has made even more effective use of Anti-Federalism. Scalia’s opinion is anchored by his claim that the Anti-Federalist Dissent of the Pennsylvania Minority was the key text for unraveling the meaning of the Second Amendment because it used the phrase “bear arms” outside of the context of military service. The fact that none of the Anti-Federalists who signed that text sat in the First Congress that actually wrote the Second Amendment is irrelevant. The public meaning originalism approach that now dominates legal scholarship does not care about what the intent of the First Congress was when they wrote it. So called “new originalists” focus on what imaginary ideal readers at the time thought or they focus on semantic meanings deduced from reading eighteenth century dictionaries. (The fact that there were no American dictionaries in 1791 does not seem to trouble them.) For Scalia the phrase bear arms can be parsed by simply looking up the words “bear” and “arms” in Johnson’s Dictionary. Since the former means carry and the latter included guns the true meaning of the Second Amendment is a right to carry guns. JUNTO: President Obama recently cited failure to make progress on gun regulation as his biggest regret from his time in office so far — perhaps marking a renewed effort from the White House on this. At the same time, you mentioned that gun rights advocates aren’t satisfied with the current state of affairs either. What do you see in the future of originalism and the second amendment debate? And what role should historians be playing in that? CORNELL: The politics of gun control is very complex. America has very different regional gun cultures, but gun markets cross these regional zones easily. Guns from states with lax gun laws such as Georgia and Virginia travel up the “iron pipeline” to Washington, Baltimore, and New York. Since Newtown we have seen a polarization in gun policy. States with loose gun regulatory regimes generally have made them even less stringent. (Hard to believe but true!) At the same time states with relatively, at least by American standards, gun control regimes tightened them up. Heller obliterated the real history of the Second Amendment and substituted in its place an originalist fantasy. Ironically, Heller also asserted that many gun laws are presumptively lawful as long as they are of longstanding vintage. Of course there is no clear metric for what constitutes a long standing law. It also means that Scalia believes that earlier generations of Americans and their legislatures were entitled to weigh the policy benefits and costs of gun regulation. Curiously, Scalia attacked Justice Breyer’s Dissent for claiming that contemporary legislatures have the same right. This aspect of Scalia’s opinion and his originalism is one of the oddest, but it has not been much discussed in the scholarly literature. This takes the dead hand of the past problem with originalism to a new level. So, while macro-level history is no longer relevant to the gun debate, micro-level history has become even more relevant. “At the same time, you mentioned that gun rights zealots aren’t satisfied with the current state of affairs either.” Mr. Cutterham, could you have not used a loaded term like “zealots” in your question? Using that term seems rather un-scholarly and biased on a scholarly blog, IMO. Fair point, thanks for your comment; I have now changed the word used. You’re welcome, and thanks for changing it. Of course, we don’t know what the effect the use of the differing words in the question might have been, but it seems the answer was not colored by it. It becomes quickly apparent from Professor Cornell’s polemical language that his understanding of Originalism is highly facile. The notion that Originalism is solely the province of a vast right wing conspiracy ignores the scholarship that has been produced by liberals who use it to advance their understanding of Constitutional theory: http://www.scotusblog.com/2013/08/originalism-its-not-just-for-conservatives-anymore/. Indeed, Originalist based arguments were employed in both sides in the Heller case, so how Originalism could be “partly to blame for the distorted view of the Second Amendment” in unclear. I understand that historians don’t like Originalism, and there are good reasons to be wary and cautious in int application. But they need to be careful when embracing the sometimes nihilistic rhetoric of its critics. For if the past is as indeterminate as some claim, there’s really no place for the historian to begin with. I’ll have to look into Professor Cornell’s other works on this topic, but based on what is mentioned here, there’s a major problem with using Revolutionary-era Test Acts, and the disarmament that occurred as a result, as a basis for legal status of firearms today. I study the Revolutionary South, where they had their own Associations and Tests to determine loyalty. They also confiscated weapons from those who would not sign, and mostly used them to supply their own militia and provincial forces who were often short on firearms. But by not signing the oaths, these individuals had (according to the Patriots) declared themselves traitors and enemies of the state (to use a modern term). This was not the process of determining the peacetime legal status of owning firearms based on public safety and public health, which is the debate we face today. By basing current legal status of firearms on the reality of the Test Acts/oaths/Associations of the Revolutionary period the government would be essentially suggest that anyone having their guns confiscated (or at the very least those who can no longer buy guns legally) are facing this consequence because they are enemies of the state or traitors. Hardly a sound basis or justification for legal policy. It’s also worth noting that even among their supporters, the Patriot leadership during the war often required that those who had more than one firearm give their extras to those who had none so that everyone would be armed. Is this confiscation or is this mandating a universally armed society? Cornell is a historian who does not fear to tread in dangerous political territory. A member of the academic establishment bashing “right-wingers” is hardly dangerous. No offense.